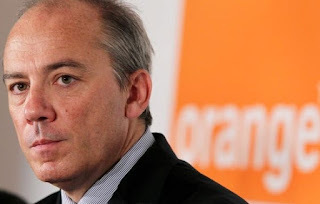 The managing director of Orange, a major cellular phone business, has pushed his company into the spotlight this week ["France's Orange plans to end brand licensing deal in Israel"] in a way that must have left some French heads shaking, and has certainly caused seriously hard feelings in our country. What do those last words mean? Hard for us to make sense of them given that this was a branding license deal from day one, with no equity or control in the French hands. "This has nothing to do with Israel, we love Israel, we are in Israel, in the enterprise market, we invest money in innovation in Israel, we are a friend of Israel, so this has absolutely nothing to do with any kind of political debate..."
So how much does Orange, or its CEO, or France Telecom or the government of France love Israel? The truth: it hardly matters. International relations, like international business dealings, have little to do with love, and much more to do with self-interest and good sense. So now allow us to share a note about some dealings we have had recently with Orange, ourselves. On the website of Jordan Media Institute, there is a page entitled "Partners and Donors" [here]. One of the supporting organizations listed there is Orange. There is a link to Jordan Telecom Group (JTG) website along with the well-known Orange logo which connotes an affiliation with France Telecom Group, the owner of the Orange logo. 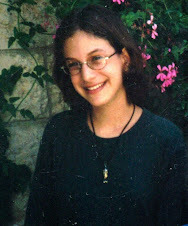 [I]n August 2001, my fifteen-year-old daughter Malki was murdered here in Jerusalem. She was one of fifteen people whose lives were stolen in an especially vicious Hamas attack which targeted children, much as the Pakistani Taliban did in that sad country last week. The woman who engineered my daughter's death is directly relevant to Jordan Media Institute, and therefore to the organizations identified as JMI's "Partners and Donors". I know from examining public documents and non-controversial records that the chief engineer of that Hamas attack, and the massacre that resulted, is known. 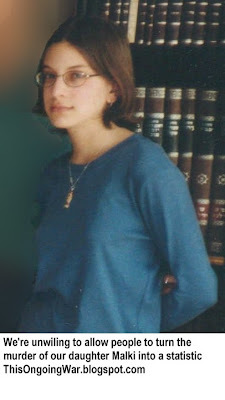 She did more than merely confess to the planning and execution of the attack on Jerusalem's Sbarro pizzeria. She actually claimed credit for it. She expressed pride in her 'achievement'. She urged others to do the same as she did, She justified the murderous focus on children and Orthodox Jews. She is widely seen on YouTube beaming with pleasure when told by her interviewer how many children she killed. It was a larger number than she had known until that moment. She is an unrepentant murdering terrorist who has become a celebrity throughout the Arabic-speaking world for this reason. She is at the very center of an ongoing terrorist industry controlled by Hamas. She is an icon of hatred. I discovered to my horror some ten days ago that this woman was very publicly honoured as the "Success Model" of the journalists at Jordan Media Institute in early December. Let me clarify before I proceed further that I am not writing to complain about the generous support that has been given to JMI. On the contrary, it is good and in everyone's interests that people in dark corners of the world, in particular those suffering from a press that is not free, and from government whose conduct is oppressive and authoritarian, should be supported by European institutions, by fair-minded individuals, companies, organizations and by other governments in their struggle to create a better, more open and equitable society if that is what they sincerely want to achieve. JMI, an acclaimed institution, was created and is sustained by foreign support. It has the laudable goal of producing world-class journalism in a part of the world that has so little of that. HRH Princess Rym Ali, the founder, justifiably famous for her work as a CNN reporter and her public activity in support of democracy and a more open society, says she wants it to be as successful in producing successful journalists as her alma mater Columbia University is. If she succeeds, everyone wins. It makes sense that she gets widespread support from people who care about democracy and human rights. The problem is described in two articles I posted last week on the blog my wife and I write [here and here]. It comes down to this: the beneficiaries of what JMI offers (I mean of course the journalism students) turn out to be shockingly fixated on the redemptive power of murder and hatred. Furthermore, they seek to aggressively market this passion to their Arabic-speaking audience. 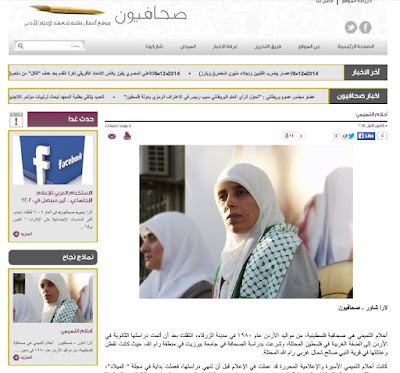 In Arabic, but not in English, they celebrate the 'achievements' of Ahlam Tamimi, a convicted murderer by her own confession and an unapologetic terrorist in the service of Hamas. They are active players in the glorification of jihadism in a society where a steady diet of encouragement to terror has ongoing tragic consequences. The indications are that these young journalists are fully aware of what they are doing. The situation created by this is almost indescribably painful to victims of terror, like my wife and me, who in addition to coping with our personal loss are simply astonished at the reality of young people starting their very promising professional lives by embracing terrorists as their idols and role models. I hope you will take a look at this matter and understand why we are asking you to critically review Orange's support for the JMI, and the continued presence of the Orange logo on the JMI website. I have written letters in similar terms to several governments, corporations and NGOs in the past two weeks. There are some quite positive results that I am preparing to publicize. In the course of those exchanges, I was told that the JMI management has removed the offensive material and believes, evidently, that this is enough and brings the slightly distasteful matter to an end. But that is certainly not a reasonable view. My wife and I and those who are standing with us insist that JMI's management must make a public statement expressing their revulsion at the showcasing of Tamimi, a sociopathic monster. They must give assurances that this will never happen again. They should say this publicly, in English and Arabic. So first the good news. When we wrote similar letters to most of the Western governments, corporates and NGOs listed on the Jordan Media Institute's Partners and Donors page, we received serious replies. All but two of them answered. While not all of them agreed with us, more than a third of them did, and pulled their names, their logos and their financial support from the JMI. This is no small achievement, given the pressures that the Arab world and its friends can exert. Then the less-good news. The JMI itself has never responded - apart from one brief, dismissive email from Yasar Durra, who wrote us as its director of training. Not a single one of the dozen or so Orange corporate people to whom we sent, and then re-sent and re-sent again the letter above (most of them in senior management or the company's public relations unit) has ever troubled to answer. The Orange logo remains on the JMI's website. In pop culture, it's said that love means never having to say you're sorry. But as we commented above, business and politics are never about love, even if the head of Orange wants to say otherwise. And we don't care if anyone is sorry or not, so long as they take a stand against the glorification of terror. When you are in the business of being a major international brand, as Orange SA is, or undertake "exceptional measures" in the conduct of your national affairs, as the French Republic has said it does, you have to be ready to stand firm when the subject of terrorism arises. If you leave people wondering whether you are for or against terror and its glorification, and whether that's for business reasons or politics or something else, then (dear Mr. Richard, Orange CEO) no one really cares whether you are a friend or a lover. And we certainly agree with the quote AFP is ascribing to you today: this has absolutely nothing to do with any kind of political debate. Terror is not politics, and getting your response to it right (or wrong) so as to avoid misunderstandings, has enormous consequences.